Program topics include anatomy and physiology, engineering, geology, astronomy, math and physics. 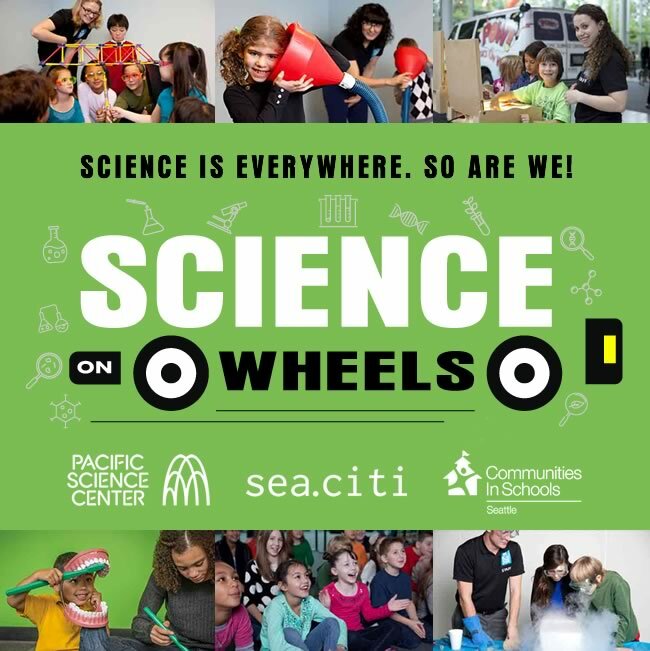 Through our partnership with Pacific Science Center and Communities in Schools of Seattle, we’re pleased to help provide free STEM programming to qualifying schools for the 2018-2019 school year. To participate as a volunteer, please contact Outreach Education Program Supervisor, Holly Duskin, at hduskin@pacsci.org to sign up or find out more!